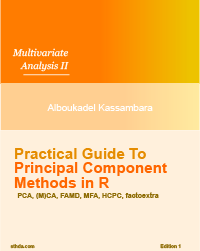 I like this PCA by the Kassambara but only one I hope is oriented around health e.g. PCA for heart failure readmission rate prediction. If something like this already there, please direct me. Social network analysis is used to study the inter-connection between entities or people. Examples of network structures, include: social media networks, friendship networks, collaboration networks and biological network. 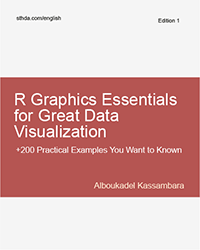 In this book, we present tools and the essentials for analyzing, manipulating and visualizing network graphs using R programming environment. 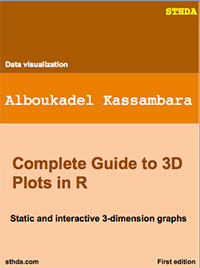 - Create static and interactive network graphs using modern R packages. 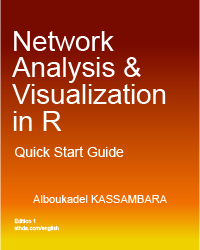 - Change the layout of network graphs. - Detect important or central entities in a network graph. - Detect community (or cluster) in a network.